I would love for you to follow me on Facebook! Are you following Chatty Patty's Place on Facebook? 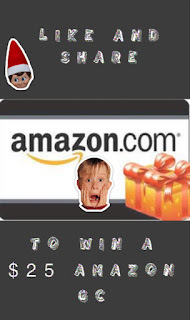 Check out my Facebook page for your chance to win a $25 Amazon GC! I am following you as Dee Walker on Facebook! Merry Christmas! Merry Christmas Patty! I follow as Dana Rodriguez.